Despite recent reports that Kylie Jenner and Travis Scott had parted ways, sources have confirmed that the couple is still going strong. 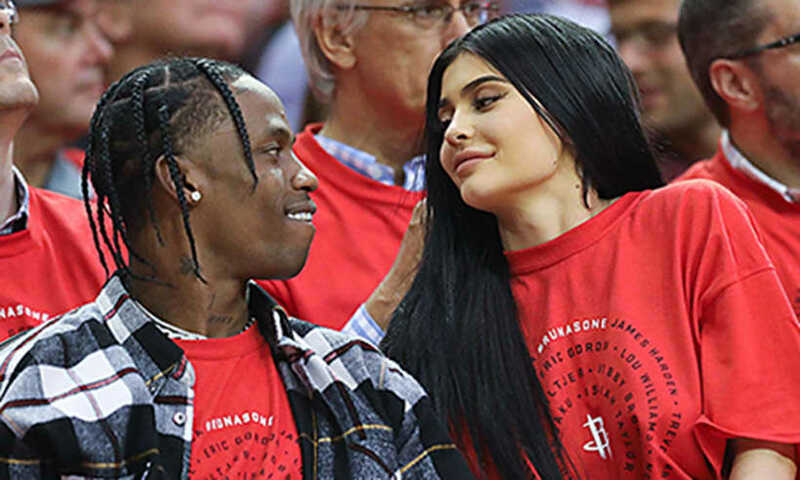 Multiple sources said that 20-year-old Kylie and 25-year-old Travis, who are expecting their first child together, a baby girl, have not split. Throughout her pregnancy, the makeup mogul has purposefully avoided the spotlight and while she was noticeably absent from her famous family’s 25 Christmas photos, Kylie attended Kris Jenner‘s annual Christmas Eve party in L.A.
At the event, Kylie posed for a snap with Scott as well as with her sister Khloé Kardashian who recently confirmed that she is also expecting her first child with her NBA player boyfriend Tristan Thompson. Kylie looked great but didn’t really draw any attention to her baby bump. She wants to reveal things on her own terms but she’s, of course, having fun teasing everyone. She knows all the attention is on her and her baby bump, but she won’t share until she wants to. Kylie wants to disappear and be out of the spotlight and focus on her health and happiness. She isn’t going to publicly address her pregnancy until she gives birth. She’s not doing any public appearances and just wanted to take six months off. They know it’s going to be a frenzy when they do come out. But Travis is crazy about Kylie and he feels so lucky to have her and the baby.